Developed by PottyMD to be better than any other potty training system, cuddly and plush Potty Monkey has a timer and requests to go potty every 30 or 90 minutes, depending on your stage of toilet training or potty difficulties. 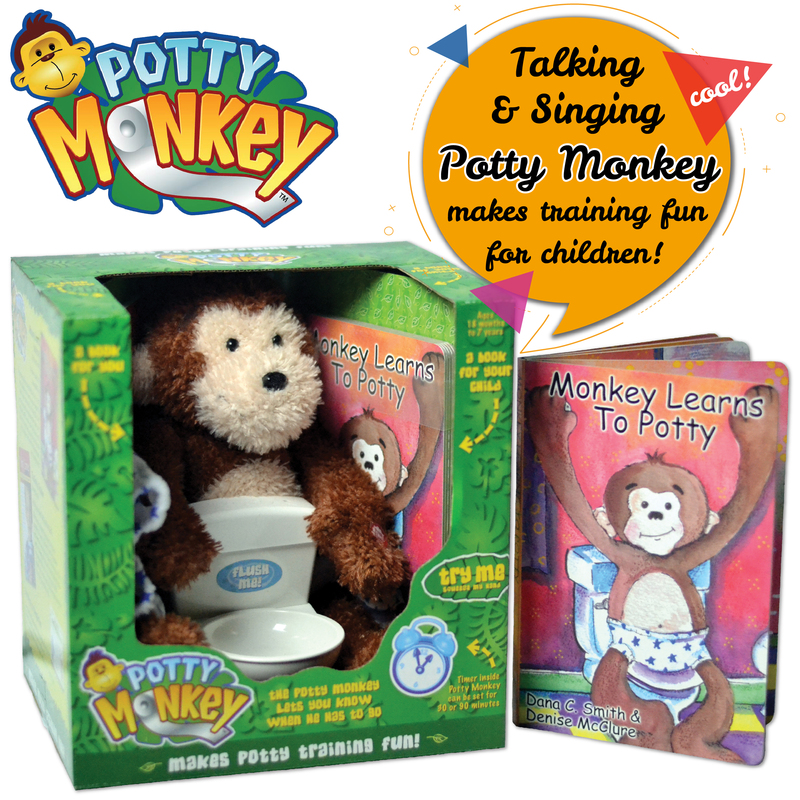 Potty Monkey will also talk or sing to encourage good potty habits every time he is placed on his toilet. The toilet makes a flushing sound at the touch of a button. Includes a charming story book about Potty Monkey and his new underwear and potty chair that your child will want to read again and again. Remember "Monkey See-Monkey Do"? The Potty Trainer is an excellent 80-page book for parents that discusses everything you need to know to train in even the most difficult situation. Requires 5 AA Batteries (3 in Monkey & 2 in toilet), not included. Engage your child in the potty training process and have fun along the journey to success!